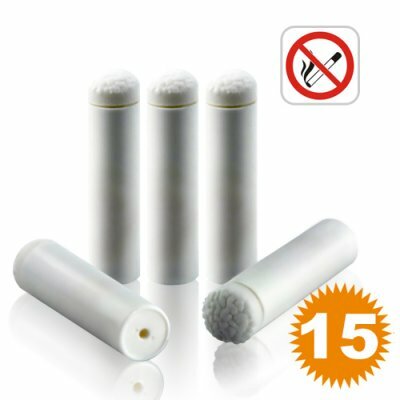 Successfully Added E-Cigarette Refill Pack w/5 Cartridges (For CVPD-J33) to your Shopping Cart. Refill pack for model CVPD-J33, Ladies Electronic Cigarette. If you are finding it difficult to stop smoking, then you can try the safe and easy to use CVPD-J33 E-Cigarette and these extra nicotine cartridges to give your body the slow adjustment it needs to successfully quit the habit for good. Each refill box contains 5 cartridges of varying nicotine strengths (from high to pure flavor). E-Cigarette refill pack with 5 mint flavored cartridges for the CVPD-J33.